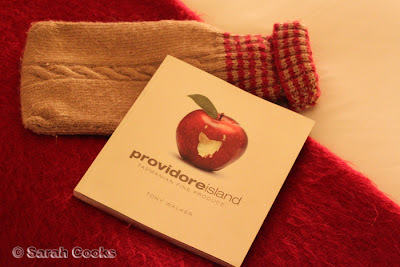 Hot water bottle, extra blanket and foodie-guide to Tassie! I know Hobart is a bigger city, but I'm glad we chose Launceston. 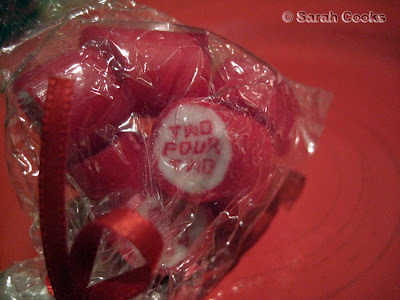 Not least of all because we got to stay at twofourtwo! 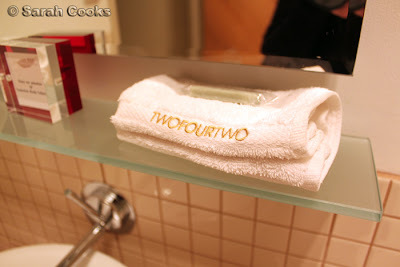 Once we'd decided on Launceston, I did a bit of googling, read about twofourtwo here and thought it looked pretty fabulous. I looked at their own website, saw the the prices were within budget, and promptly booked it online. Too easy! 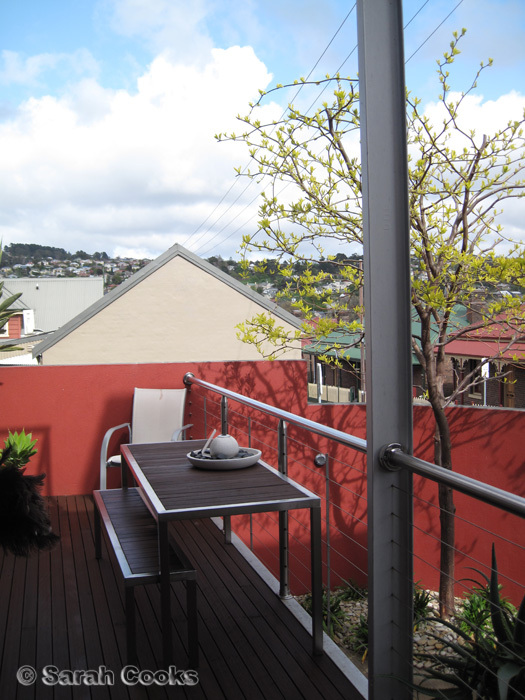 The twofourtwo apartments are located just outside of the city centre, close to cafes, restaurants and delis. While we visited, the reception was closed for renovations, but the owners Alan and Katie kept us in the loop - calling us beforehand to arrange key pick-up, and making sure they popped in to say hi and make sure we felt welcome. At this stage in my life, the only hotels I can afford are soulless business hotels or mediocre travel taverns. So I think its fantastic that boutique accommodation is becoming more common. They are generally a bit cheaper than the big hotels, and have a lot more personality. 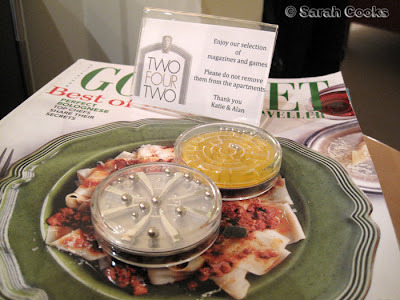 With twofourtwo, it was so nice to see the individual touches that the owners add to personalise the experience. It seemed like they thought of everything to make your stay more comfortable... like the hot water bottle and extra blanket they put on the beds! And the apples on the pillows. Cute! I was also impressed that they had a DVD player (with a good selection of movies! 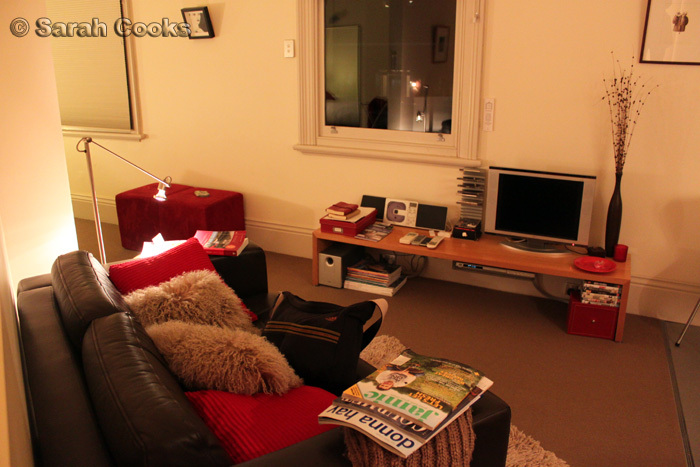 ), CD player, iPod dock, menus of local restaurants... and a comfy couch with heaps of fluffy pillows, blankets, and a mega-selection of food magazines! Little puzzles for extra fun! 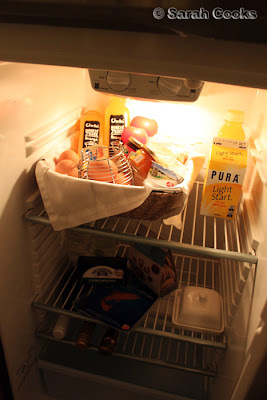 Fridge stocked with brekky provisions, like bread, eggs, tomatoes, milk and OJ. On the 2nd shelf there was cheese, smoked salmon and crackers - yum yum. We didn't actually end up cooking breakfast (we were too busy going out to cafes instead, hehe), but if you are more energetic than me, you could make a pretty fab breakfast there! 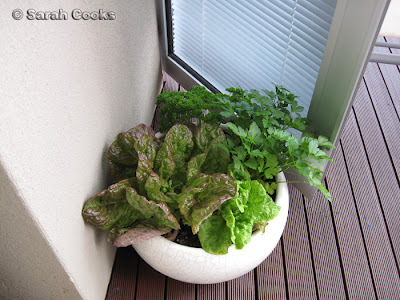 Pot of herbs on the balcony, guests are free to pick and use these! We loved it! Twofourtwo was a really wonderful spot for a weekend away. Next time we go to Launceston, I'd definitely wanna stay there again! This looks like the place for me!!! 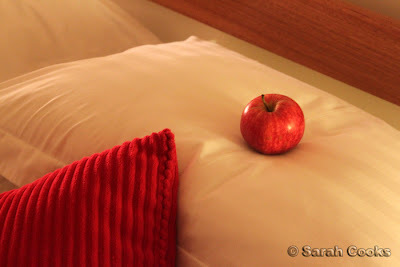 I love how they put apples on the pillows.... and charlie's juices in the fridge!! 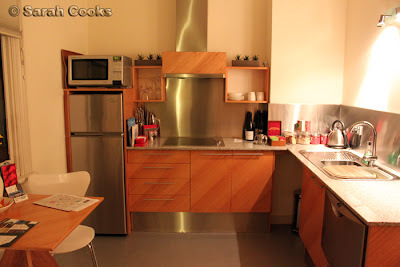 Love seeing this guided tour of your accom... 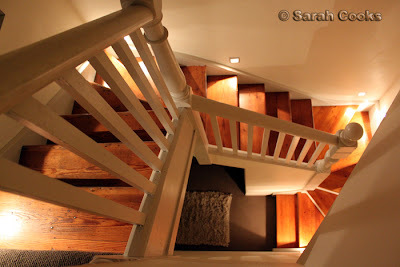 I did a lot of hostels in ym recent travels, and splurging on an actual hotel was like heaven! Never anything quite as cute as this, though! Looks GREAT! heading back to Tassie for sure. I miss Tassie and will love to head back.